eCards featuring images from McMaster University Library’s digital archive are now available! These free, eco-friendly cards can be sent to any email address with an added personal message. The cards showcase the diversity of our holdings in The William Ready Division of Archives and Research Collections. 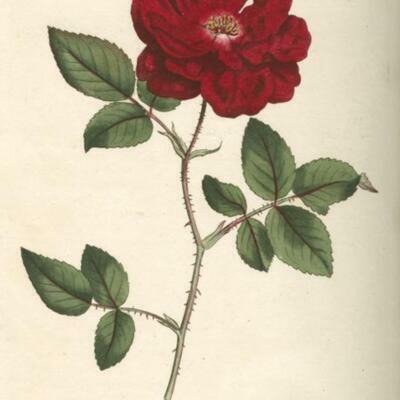 The images are taken from rare historical books and ephemera from our archives and printed book collections dating from the 17th to 19th centuries. Many of the books were acquired from the library of J. Barry Brown, an Irish collector in 1968. Subjects and their descriptions have been provided by Renu Barrett, William Ready Division of Archives & Research Collections. Robert Edward Clifford was the third son of Hugh, the 4th Lord Clifford of Chudleigh. His ancestral home, Ugbrooke Park, is located in Devon, England. Born into a Roman Catholic family in Protestant England during the era of the Catholic Penal Laws meant that Robert Edward was denied the right to hold a position in government or to be commissioned an officer in the military. It also prevented him from receiving a formal education in his own faith, which is why he—like his two older brothers and his father before him—was sent abroad to France at an early age. Upon completion of his education at Liège at age seventeen, Robert Edward was commissioned an officer in his cousin Arthur Dillon's Regiment of the Irish Brigade—a unit filled with Roman Catholic exiles serving King Louis XVI of France. He continued to serve with the Regiment after the outbreak of the French Revolution but resigned when it was forced to integrate with the French Revolutionary Army. He returned to England early in 1793 when Louis XVI was executed and France declared war on Britain. Possessing knowledge of the inner workings of French military and cartographic practices in addition to an intimate familiarity with the French language, culture, and geography, Robert became an indispensable advisor to British military leaders. Still unable to hold an official position or rank due to the Penal Laws, he nevertheless spent the next 7 years as a shadowy figure moving throughout the highest circles within the British military and government. In addition to being a Fellow of the Royal Society, a founder member of the Royal Institution, a Fellow of the Society of Antiquaries, and a Vice-President of the Society for the Encouragement of Arts, Manufactures and Commerce, Clifford was an author and translator of scientific, religious, and political books and was considered to have a map collection surpassing that of any private gentleman of his time. Founded in 1887, McMaster University today is full of beautiful bulidings and open spaces to make every student and visitor's experience an enlightening one. McMaster's main campus, located in the Westdale neighbourhood of Hamilton, Ontario, is comprised of 300 acres of scenic property at the western end of Lake Ontario, between Toronto and Niagara Falls. Our 30-acre central core is designated for pedestrians and bicyclists. 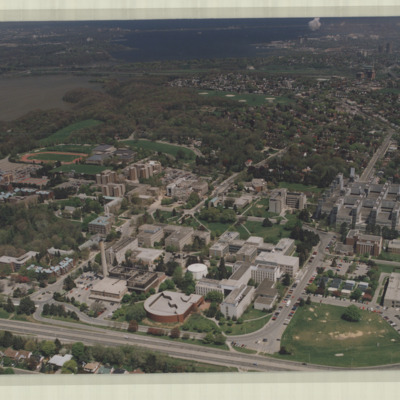 Nearby attractions that can be seen on the McMaster Campus Maps Through Time include Cootes Paradise, the Bruce Trail, the Waterfront Trail, the Royal Botanical Gardens, and the Niagara Escarpment, a UNESCO World Biosphere Reserve. Campus air photos have been derived from flightlines, photgraphy companies and instituitions from the early 1930s to the late 1980s. 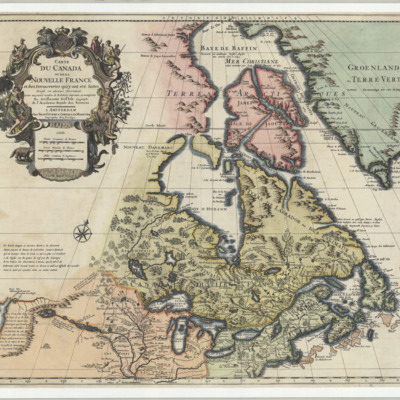 This exhibit demonstrates a selection of the various pre- and post-Canadian Confederation maps that exist in McMaster University Library's Lloyd Reeds Map Collection. Clicking on an item in this collection provides an opportunity to view the map in higher quality, and provides a link to the full-sized digital scan in the Library's Digital Archive. Click on the categories to the right to explore the maps!